Clearasil Vanishing Acne Treatment Cream is a type of spot-treatment product for breakouts. The cream contains 10 percent concentration of benzoyl peroxide. 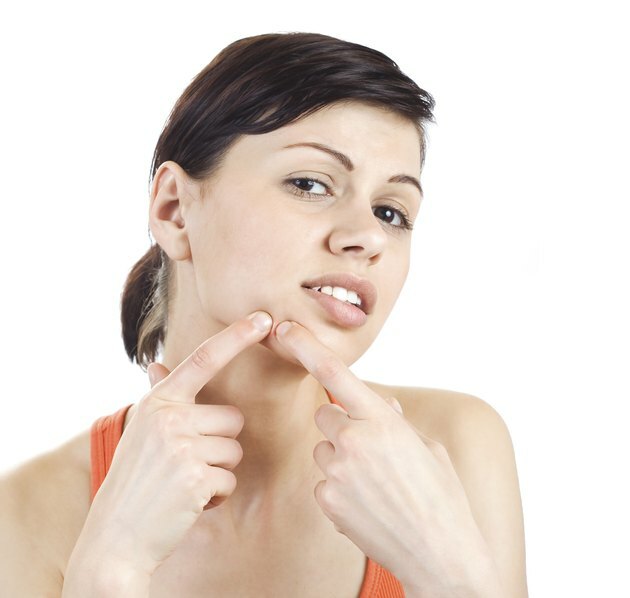 According to Acne.com, benzoyl peroxide works by reducing acne inflammation and controlling the amount of oil on the skin. It also stops dead skin cells from blocking pores and causing pimples. You can purchase Clearasil Vanishing Acne Treatment Cream over-the-counter at most drug stores. Wash your face with a mild cleanser. Pat the skin dry with a towel before applying the Clearasil Vanishing Acne Treatment Cream. Apply a small amount of the cream to your fingertips. Smooth the solution over the skin on the face in a thin and even layer. Avoid the eye area during application. Allow the cream to dry completely. You may put skin care products and makeup on your face once the cream has dried. Use the cream once a day at first initially. Due to the high concentration of benzoyl peroxide, only use the medication once per day when you start the skincare regimen, as the formula can be very drying. Increase the applications gradually if needed. Reduce how often you use the cream if side effects occur. The topical acne treatment solution can cause skin redness, itching, burning and peeling. If this occurs, reduce the frequency of application. You may also use the acne treatment cream every other day or as a spot treatment only. Avoid prolonged sun exposure when using Clearasil Vanishing Acne Treatment Cream. The product can cause sun sensitivity, so a sunscreen should be applied over the cream before going outdoors. If any of the skin irritation you experience is severe, stop using the product and notify your doctor.